Scott Tipton is hiding the number of public comments his received both for and against upgrading the Colorado National Monument to a national park, but says support for the change just wasn’t there. In a stunning reversal, Rep. Scott Tipton (R-CO) suddenly killed area citizens’ longtime effort to upgrade the Colorado National Monument to a national park. 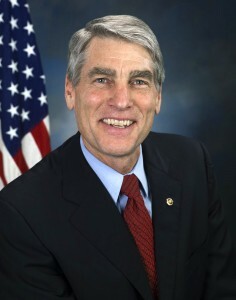 But the reversal is shrouded in mystery, and neither Tipton nor Senator Udall’s offices will make public the data about number of comments they received for and against the proposal. The legislators asked the public to submit comments on proposed legislation to upgrade the Monument to a national park over a period ending June 30. Citizens submitted comments via the legislators’ websites, phone, mail and email. 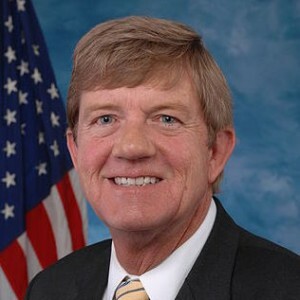 Both Tipton and Udall’s offices report they received thousands of comments about the proposed change, but when asked for the total number of comments received and the breakdown for and against, they refused to answer. When asked how many comments they received for and against the Monument upgrade, Deanna Pickman, an intern at Rep. Tipton’s Grand Junction office, said 500 people contacted them online and over 2,500 people signed petitions about the redesignation. She added a “vast majority were against” upgrading the Monument to a national park, but refused to give the actual numbers, saying flatly, “We’re not giving that out.” She referred me to Rep. Tipton’s Washington, D.C. office. Not available? The Congressman just based a legislative action with significant consequences on the results of these numbers, but the numbers “aren’t available”? When asked for just a rough percentage of the breakdown between pro and con national park, Barbara refused to answer that question, too. She suggested I talk to a paid staffer, Jason Eastman, but said he wasn’t in the office, she didn’t know when he would be back, and she refused to give me a phone number or email for him. Senator Udall’s D.C. office was just as tight-lipped about the public response to the proposal to upgrade the Monument. Nicholas Hubler, an intern in Udall’s D.C. office, flat-out refused to answer the same question about the actual numbers of comments received for and against the Monument upgrade, saying “We can’t release that information.” When asked why not, he said it was “due to the privacy of constituents.” I reassured him that I wanted no addresses, names or data about the commenters’ positions, but I just sought the hard numbers of the total responses received, and the breakdown of comments for and against. He refused to give out the information. When I asked to speak to a paid staffer, Nicholas referred me to Loren, or Lauren (she also refused to give the correct spelling of her first name or give her last name.) Asked the same question about the number of public comments they got for and against, Loren said “I’m not sure that’s information we’re going to release.” When asked why she wouldn’t be able to release such information, she said she “can’t comment.” She told me to go to the Senator’s website to submit the question so they could refer it to the appropriate person, and I told her that when I submit a question through their website, all I get is a general, form-letter-type answer back that doesn’t really answer anything, and that all I wanted was just a short, easy answer to a very simple, specific question. She nervously refused again to answer. Sen. Mark Udall’s staff is also dodging questions about the number of comments their office received for and against upgrading the Monument to national park status. The royal dodge that Tipton’s and Udall’s offices are giving about the comments they got for and against park status was absolutely surreal. Why would these numbers be such a big a secret? They were public comments submitted to our elected officials about a very public question. Are we supposed to accept at face value these politicians’ claim that significant public support for the legislation just wasn’t there? The claim just doesn’t hold water. Support to change the Monument to a national park was broader and more non-partisan than support for anything proposed in recent history in this area. Backers of the change included the Grand Junction Economic Partnership, the Downtown Development Authority, the Downtown Association, the Grand Junction Visitors and Convention Bureau, the Daily Sentinel, notable local politicians like Tilman Bishop, Josh Penry, and Bernie Buescher plus local hotels, restaurants, wineries, resorts, shoe stores and other retailers, banks as well as every local municipality, chamber of commerce and tourism board. That’s a flat-out amazing amount of support for anything proposed in this region. If the numbers of comments Tipton and Udall received really supported ditching the legislation as they claim, you would think they would eagerly make those numbers public, to back their conclusion that support for the legislation just isn’t there. But from the nervous runaround their staffers are giving to questions about the numbers of comments their offices received for and against, the only possible conclusion is that the comment really went the other way, and the majority actually supported park status. But election year politics are these legislators’ main concern, not the benefit of the area they represent.